NRC announces evidentiary hearing for Indian Point Nuclear Power Plant renewal. 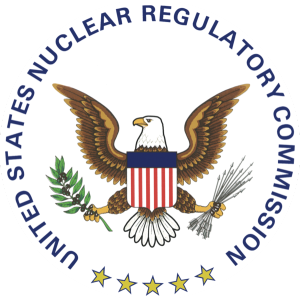 The U.S. Nuclear Regulatory Commission (NRC) announced on Tuesday that there will be an evidentiary hearing held Nov. 16 to address safety-related issues in regard to the renewal of the Indian Point Nuclear Power Plant. The New York state government and Riverkeeper, Inc., have raised objections to the operation’s license being renewed. They consist of the failure to include an aging management program for components of the reactors, critical systems and for metal fatigue. Entergy Corp. has submitted a 20-year license extension application for its Indian Point Unit 2 and 3. Testimony will be expressed during the hearing on behalf of the NRC, Entergy and challengers. This hearing is set to take place at the DoubleTree Hotel on South Broadway in Tarrytown, New York, and will begin at 12 p.m. The hearing will take place over several days and subsequent start times will be announced during the hearing itself. The set of hearings is open to the public and all attendees will be required to go through security screening. Three judges representing the Atomic Safety and Licensing Board (ASLB) will be presiding over the hearing and will issue its ruling on the matter at a later date. Direct testimonies have been pre-filed for this hearing.